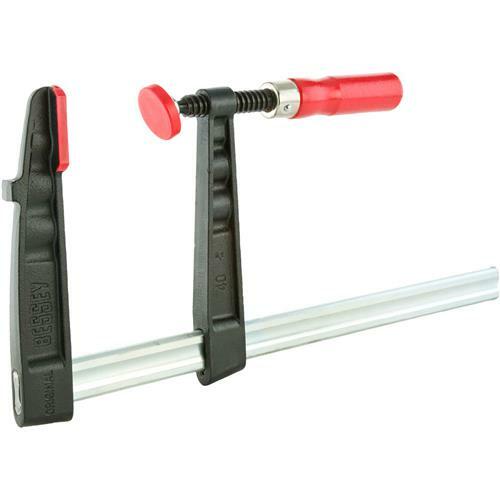 Industrial-quality deep reach clamps offer extra capacity that most bar clamps can't offer. These clamps feature flex resistant rails, tough cast iron jaws and a patented non-slip locking system that assures a solid grip every time. 7" throat. quality clamps, worth the money. put to use right a way and know issues.